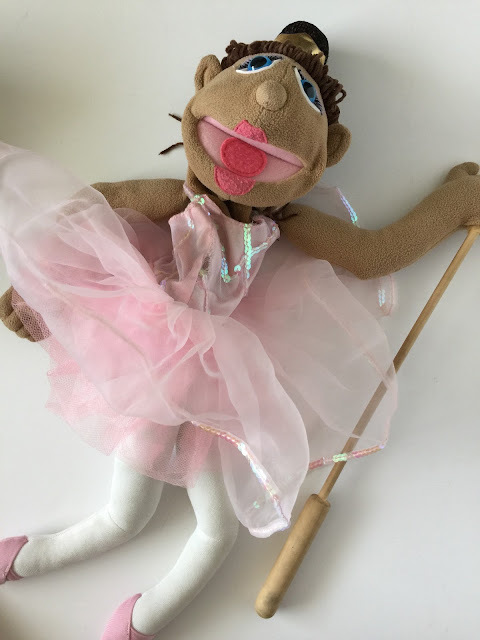 If you are teaching a new some or reinforcing the words (especially with Jr. primary), I'd recommend bringing out one at a time and have the kids repeat what the puppet "sings" then switch to another puppet. 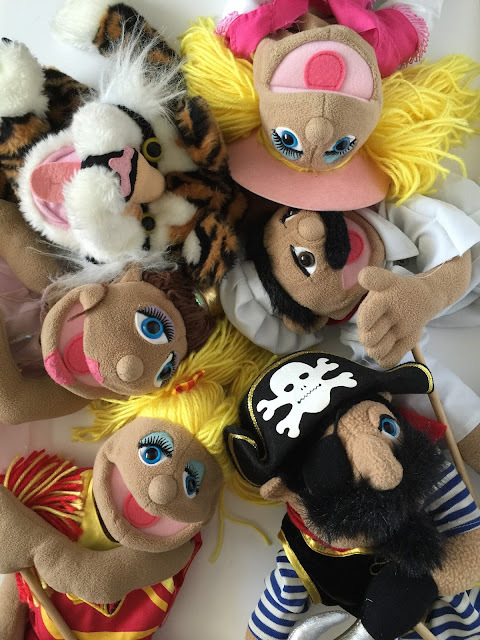 You can incorporate different characteristics into each puppet's singing. For example, the cow girl has some nice twang when she sings. The kids can even repeat with that same twang! The pirate has a gruff, singing voice and says "Argh Matey" after everything! If you want to simply review, you can have the kids take turns (maybe a few kids come up at a time, depending on how many puppets you have) leading the song. They watch for good singers to replace them after the song is over. The sticks in the puppet's hands are perfect for making the puppet lead the music! I used these for both Jr. and Sr. primaries and ironically, each of them loved them!! I asked my neighbor where she got them and she said she randomly picked them up at a grocery store (Harmon's here in Utah - and I hear they are a seasonal item still!) years ago. I was a little bummed as I thought they would be great for my own kids' collection (I'm thinking Christmas gifts because my own kiddos had so much fun with them while I was borrowing them!). So I turned to Google and it didn't disappoint!